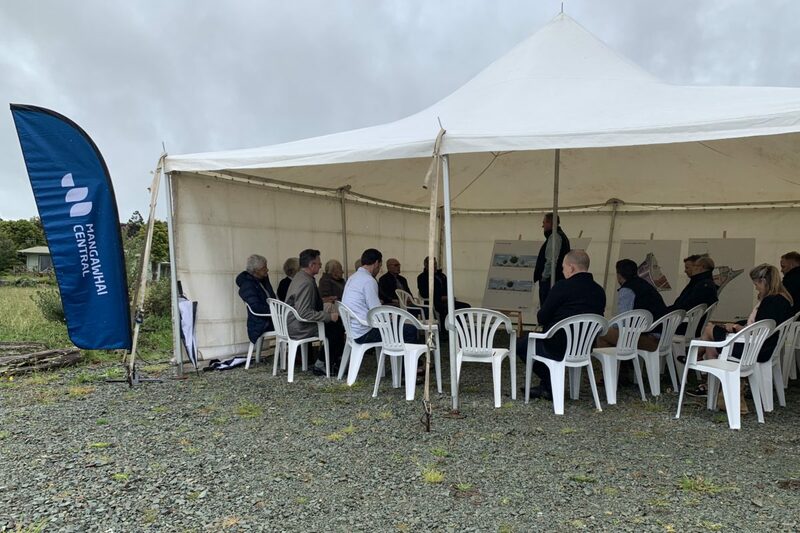 Viranda Partners attended a blessing ceremony for the land known as Mangawhai Central, our large-scale development in Mangawhai. It was an honour to mark the occasion with prominent members attending from Te Uri o Hau. Despite poor weather, when Kaumatua Ben Hita undertook the blessing, the sky brightened and the rain lifted. With the land now blessed and its spiritual significance acknowledged, it feels fitting for the development to move forward with its exciting endeavours. Te Uri o Hau Settlement Trust CEO: Jonathan Rishworth (back towards the camera). Te Uri o Hau Settlement Trust/Environs Holdings Manager: Stephen Brown (as above). Te Uri o Hau Kaitiaki (Otamatea) and Environs Cultural Resource Management Consultant: Shereen Worthington (attended but out of shot).